KUALA LUMPUR (April 15): After FGV Holdings Bhd announced a transformation plan to turn around its operations last Sept 3, its share price deteriorated from RM1.49 to an all-time low of 63.5 sen on Dec 14, before rebounding over the last four months to RM1.30 last Wednesday — amid cautiously rising optimism about the company’s prospects. But news of an upcoming review of the land lease agreement (LLA) it has with its parent, the Federal Land Development Authority (Felda), following the tabling of the White Paper on Felda in Parliament, has cast uncertainties over the company. The news pulled its share price down near 4% from RM1.30 to settle at RM1.25 last Friday. 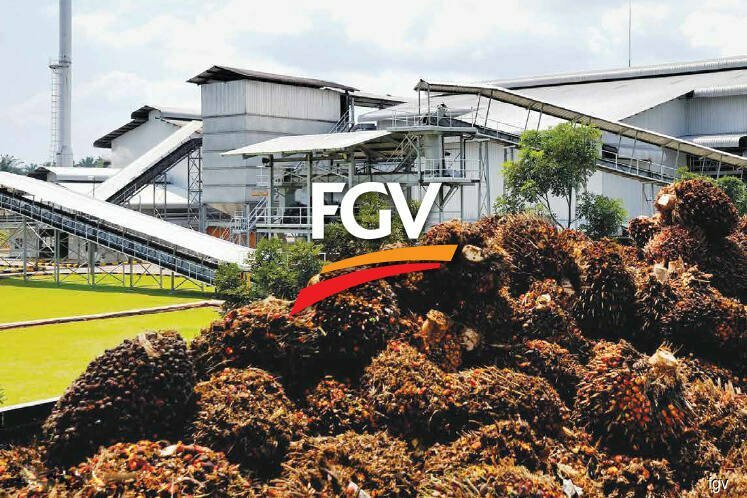 An MIDF Research analyst said sentiment surrounding FGV had turned positive in recent months following the complete overhaul of its leadership team, a sense of confidence in its transformation plan that focuses on cost rationalisation and efficiency improvement, and a relatively higher crude palm oil (CPO) average selling price compared to some of its peers’. “We understand that some of the plans are under way, including manpower rationalisation and mechanisation efforts, which are likely to yield results this year. However, factoring in the gestation period and execution risks for the turnaround plan to show signs of improvement, we remain cautiously optimistic about FGV at this moment,” Khoo Zhen Ye told The Edge Financial Daily. While the renegotiation of the LLA remains a source of uncertainty for the group going forward, with no concrete information on the potential changes to the agreement between FGV and Felda, Khoo said both parties could still strike a deal that is mutually beneficial. “This is premised on both parties having been long-time partners, especially with the new management at the helm of FGV and its ability to provide the necessary support to the Felda settlers. “We also think it is a positive development that the government has decided to provide financial aid to Felda as it could potentially have an indirectly positive impact on FGV,” he said. With Felda’s plan to implement new technologies and to encourage settlers to plant new cash crops going well, FGV’s fresh fruit bunch production could increase, driven by a higher yield and better plantation management, he explained. He added that this could mean higher production of CPO to partially offset the weak price environment via a higher sales volume. But another analyst with a local research house was not as optimistic, saying it is unclear whether a mutually-beneficial deal could be reached. “It definitely casts some uncertainty over FGV’s share price going forward. We don’t know whether they would terminate the agreement or which part of the agreement they are looking to review, and to what extent. “Obviously, Felda needs more money. But if FGV can’t give them more money, given that they are loss-making, there are some questions about how this will turn out,” the analyst said. Under the current terms of the agreement, FGV is required to pay a fixed lease payment of RM250 million per year for 99 years starting 2012, as well as a 15% share of estate operating profits. To-date, the group has met all its obligations under the LLA, the group said in a statement issued last Friday, adding that there is an urgent need to discuss the terms of the agreement as the issue has been raised repeatedly over the last three years, causing “much uncertainty and concern” for its shareholders. However, the analyst, who declined to be named, added that it is unlikely that the LLA will be terminated completely as this could result in a penalty of RM4 billion to RM5 billion on Felda, which is cash-strapped. The LLA issue aside, FGV could see some improvements in its financial performance this year given the group’s transformation plan and its guidance of a possible return to the black this year, amid an expected recovery in CPO prices. “Hopefully, this transformation plan works out with the new management team after several rounds of transformation plans in the past. They have guided that production should improve and cost of production should fall amid improvement in production per hectare. “On a quarter-on-quarter basis, CPO prices have also improved, which should help in bringing them back to profitability this year after a bad 2018,” said the analyst. In a note last Wednesday, AllianceDBS Research said it is positive on FGV’s restructuring plan, and expects the group to resolve its labour issues, reduce leakages and improve cost efficiency, yields as well as profitability. While most analysts have maintained a “neutral” or “negative” rating on the counter — Bloomberg data show only three “buy” calls out of a total of 12 analysts who cover the stock — the research house is rather positive on FGV and has upgraded the stock to “buy” with a target price of RM1.75. “The group is one of the biggest plantation land owners in the country yet trades at an enterprise value per hectare (EV/ha) of about US$9,500 (RM39,111) — a 57% discount to the average EV/ha of US$22,000 under our Malaysian coverage — indicating significant improvement potential. “The stock trades at 0.9 times book [value] or -1 standard deviation since 2015, and is the lowest in our Malaysian plantation universe. FGV is our top pick for the sector,” it added.